These tastings notes accompany our in-depth report from Chile. Please also see tasting notes part I and read our full Regional report: Chile, from North to South. Ignacio worked in Napa growing Pinot Noir and Chardonnay, where he says his understanding of soils and clones was developed. “We need to have a lot of variation in our vineyards – not all the same orientations, same planting densities and same clones – to give variety in the wines,” he says. Indeed there is a large variety of Pinot clones for example, from Burgundy, California and Oregon. Their new vineyards were mapped minutely through sinking over 500 bore holes, to totally understand the soil composition, water retention properties, etc., before planting. Vines are trained low, on wires just 50cm off the ground instead of 100cm – “big wines come from small vines,” according to winemaker Viviana Navarrete (left). From a limestone soil, with some pre-fermentation cold-soaking. A much more mineral, melon and citrus profile – more than tropical. A touch of leafiness. Intense, leafy, soft herbs and lemon, a hint of that peachy, papaya sweetness, but a big, dry acidity making it food friendly. 89/100. 9.50, Wine Soc, Oddbins, Waitrose. A careful pressing to avoid skin contact from pink skin. There’s a nice weight and suggestion of apple skins and spice. On the palate quite full textured, with some crisp, crunchy, sb like bite, but more broad, though a fine, pithy, tangy acidity. 87/100. Wine Soc, Oddbins. Planted in 2003, so third crop. Fine, peach skin nose, with a touch of fragrant, Mandarin skins. The palate is quite intense and has a bold citrus fruit. It is fresh and very tight, mineral, lemony freshness. 88/100. 9.50. Fermented in French oak, 20@ new. No malolactic (in any wines). Buttery, minty nose, real mint humbug character, oatmeally, cashew quality, and white fruit beneath. The palate has some of that soft, cashew quality, more nutty apple fruit, a really tangy orange acidity. Delicious. 91/100. 9.50. Very low yielding, encouraging lots of freshness in the vineyard with open canopy and bunches. Picked last. Meaty, extremely smoky nose, like smoked sausage. A hint of green. On the palate a dense texture and fruit quality, though there is good tannin. Lacks a little fruit for me and that smoky meatiness is slightly distracting. 87/100.. 10.95. See all stockists of Viña Leyda on wine-searcher. The oldest plantings here were amongst the first in the valley in 1999, Garcés Silva being one of the small group of pioneer producers who built the pumping station and lines to the Maipo that brought the possibility of winemaking to Leyda. A family-owned company (the family also having a share in Montes) I had lunch with winemaker Francisco Ponce (right) and two of the brothers Garcés Silva, general manager Matías Alberto and José Antonio. The neat, efficient and carefully thought-out cellar was built in 2002 and its first vintage was 2003, but already it is being extended to cope with a production of 25,000 cases. Francisco tells me “We’ve plenty of vineyard land to expand too, though we think around 200 hectares will be the natural limit of really good vineyard land.” Extra grapes are sold off “it’s a very good business here in Leyda,” says Francisco, “as the price of Leyda grapes is about the highest in Chile.” Surprisingly, Francisco tells me that even in this recently developed region of rolling hills, there was a movement initially to plant only on the flat lands. This is the same story as that of the Central Valleys, where decades before, the ‘easiest’ sites were developed on the flat before producers learned the advantages of planting at higher altitudes and in the different soils of the slopes. 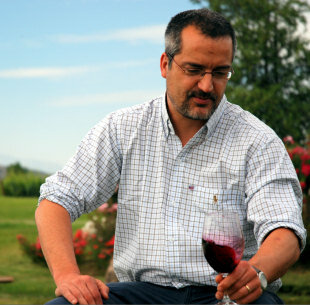 It surprised me to hear that the lessons hadn’t been learned by the time Leyda was planted: “But now we understand the hills and need for different expositions, so newer plantings will hopefully produce new higher level wines eventually.” In 2007 Amayna’s first Syrah was bottled, giving five wines in the range. But they have experimental plots of Riesling, Gewürz, Cabernet Franc and Petit Verdot. “Leyda has a big potential with sparkling wine, with good acidity and minerality too,” according to Francisco. But the cool Valley has its limitations: “Carmenère probably wouldn’t ripen here, and Cabernet Sauvignon definitely not.” Garcés Silva’s neat, efficient gravity-flow winery has lots of natural light and freshness, exposed to the fresh breezes from the coast. A blend of two clones – one from Davis and one from France. The former gives tropical aromas, the latter gives citric and finesse, The nose has a rich, ripe, almost liniment-like quality, with some soft herbs and seeds and a background of mango-like, tropical fruit. The palate has a powerful, skinny weight and texture, with plenty of acidity, but a richness of flavour and bit of phenolic grip. “Made with a philosophy of being drunk with a nice plate of food – iodine flavours of seafood”. 89/100. £12.99, Oddbins, Harvey Nicholls. 1,000 cases. Exactly the same grapes as the unoaked Sauvignon, but fermented in 100% new Taransud oak given a heavy, sweet toast. Gently nutty, seed-cake notes, touches of honey and fig. The palate has real sweetness of fruit, layered with a little vanilla, even notes of cream. Some green bean too, with lots of punch and brightness. A certain waxiness to this, and a big burst of orangy acidity – even a touch of marmalade, and a warming hint of toast in the finish. 91/100. £18.49, Oddbins. Much tighter and more closed at this stage, with the barrel characters subdued, though a nice honey and vanilla background. Fruit slightly suppressed too aromatically, with just some white fruit notes coming through, and little of that green bean, vegetal quality in a warmer year. The palate has a much tighter, juicier lemony character. A powerful, tight palate, with extremely good focus of fresh, decisive fruit and plenty of lemon and more salty, mineral acidity. 91/100. A 50/50 blend of barrel-fermented and tank-fermented wines, with no malolactic. The oak is not all new, with second and third fill oak too. Big, green bean and vegetal ripeness here, with buttery notes and lots of green fruit, ripe fig and quince and some vanilla. The palate has that background of toasty oak and quite herbal qualities, with lots of racy fruit, a real sense of salty minerality and a clean, fresh finish with an ice-water coolness. Long and tangy, with good natural acidity. 91/100. £14.99, Oddbins. Have been reducing yields. A blend of clone 174, which is elegant and floral, and 300 which has a rustic character. Intense, liquorice and clove aromas, lots of spice and pepper, a touch of violet and black olive and robust, chunky black fruit. The palate has density and power, with a real fruit sweetness, giving depth and silkiness, with quite a chunky, robust finish to the tannins and acids. 89/100. See all stockists of Amayna on wine-searcher. Concha y Toro is the goliath of the wine industry in Chile, and indeed, all of South America. They are responsible for around one in two of every bottles of Chilean wine sold in the UK, and are the seventh largest wine company in the world based on volume of sales. Don Melchior Concha y Toro founded the company at Pirque in the Maipo Valley in 1883, the original cellars, gardens and homestead (right) still forming part of the massive winery operation at Pirque, just 20 miles from the centre of Santiago, and an extremely popular destination for the region’s tourists. The slightly kitsch experience of visiting the original Casillero del Diablo cellar (the Devil’s cellar), complete with eerie lighting and ghost-train ambiance, can be forgiven, because this is a slice of real Chilean history, the cellar built from bricks bound with an elastic, egg-white-based mixture that has withstood many earthquakes in its 120+ years. From its first wine shipment to Holland in 1923 the company has led the Chilean export drive. Today 16 million cases are exported worldwide. The UK is the largest export country with almost 30% of volume – more than all of continental Europe combined – whilst the USA accounts for around 18% of volume. In that time this company – still family-owned – has continued on an ambitious programme that has established strong brands filling different price points, and indeed has taken them into other winemaking countries. The Cono Sur brand was established in 1993, The Almaviva icon wine in 1997 and then a separate operation called Maycas del Limari in 2007. In 1996 the company travelled across the Andes to establish Trivento in Argentina, taking their total vineyard holdings to 7,600 hectares in Chile and 1000 more in Argentina. That also makes them the fourth biggest company in the world in terms of vineyard area planted. Though I visited the Maipo winery, as befits a company of CyT’s size, they have vineyards in every valley of Chile, so this tasting covers many different appellations. Maule. Modest apple and lemony fruit, with just a touch of herbaceousness, but not terribly expressive. Nice palate, with sweet, easy fruit and a nice burst of Sauvignon bite and vivacity. 86/100. £6.49. This range in Sainsbury’s. Limari. Fresh lemony nose, with a little oatmeally, bready quality and a hint of something peachier. The palate burst with fruit, really quite a sweet character and ends pleasingly easy to drink though quite simple. 86/100. Limari. A touch of pear skin phenolic character here, with some nettly qualities and a certain minerality. The palate has a very crisp, clear, lime and lemon palate, with a bright, focused grapefruity acidity. Very zesty with that hint of minerality from the coastal Limari. 88/100. £5.99/£6.49 across this range. Limari. Gentle, peachy, ripe rosy apple character with a gentle herbal character. The palate has lots of zest and bite, with an orange and lemony bite and clarity. 87/100. A very gentle creaminess on the nose, but really this is all about bright, focused and clear apple and lightly herbal fruit. Very tangy citrus palate – lots of zing and bite, with a piercing fruit quality. Not a thin wine, but a lean and focused one. 87/100. More nutty, toasty character, with some vanilla and a ripe apple and nutty Cox’s Pippin fruit. The palate has much more richness and an inherent sweetness, with the sweet, soft oak fattening the finish, and the acidity perhaps a little more angular. 86/100. Tank sample. Casablanca for all fruit, apart from a portion of the Chardonnay from Limari. Quite an oatmeally nose, with an orange and bold, fat lemony fruit, and some grassy notes beneath. The palate has a bold fruitiness and quite full texture, the mouth filled with very sweet, fat fruit, but it has a clarity and searing citrusy acidity that really freshens the finish. 88/100. Maule. 90% Shiraz, 10% merlot. Boldly fruity with soft strawberry fruit. Quite creamy and easy, the fruit on the palate having a nice weight and balance, being easy to drink but fresh and appetising. 85/100. Maule. 60% CS, 25% Carmenère, 15% Syrah. Nice, big, powerfully earthy black fruit nose, with a touch of rustic, herbal character. The palate has a certain raciness, the fruit earthy and berried, with good balance. Simple, easy drinking stuff with a bit of oaky depth and structure. 86/100. From Casablanca. 30%in open fermenters, very little pumping over. Graphite and earth, and a crunchy, lightly leafy fruit, with cherry and raspberry. The fruit on the palate comes through nicely, with a touch of creaminess and chocolate, but the fruit staying bold and the acidity freshening the picture. It could perhaps use a little more flesh, but is a good mouthful of honest Pinot. 86/100. Maipo fruit. Big, ripe and minty, with a solid cassis fruit and just a touch of sweet earth. The fruit on the palate has a rich earthiness too, a touch of fudge-like depth and plenty of black fruit. There’s a gamy, bloody edge to the fruit and nicely gripping tannins, with a boldness and richness. £8.99. From Rapel. Very sweet, dark, juicy and fat berry fruit. There’s a touch of leather and some tiny gamy notes. The palate has a plushness of black fruit, but the drying, peppery and earthy spice of the Carmenère fills in, with a fairly lean but juicy cherry finish. 89/100. From the Peumo Vineyard, Rapel. Eleventh vintage from this block in Peumo. A touch of Cabernet Franc in this. Dense and glossy quality to this, with a muscular, tightly-wound character. There is a bittersweet dark chocolate edge. On the palate the fruit is super-sweet, filling the mouth with lots of sweetness, but is maintains an edge of clean, tight, racy tannin and good acidity. Fine Carmenère with real structure. 90/100. From the Puente Alto Vineyard, Maipo. Quite complex cedary notes here, with a certain pencil-shaving finesse and quite exotic, incense-like spice. Big, dry, quite complex palate. There’s a dustiness to this, but at the same time a terrific fruit sweetness with lots of blackcurrant concentration. Lovely hint of something liquoricy, but very juicy and deliciously vibrant, fresh finish with lovely fruit. 91/100. 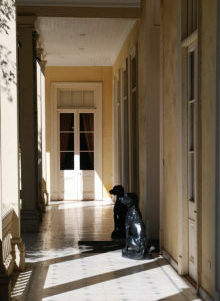 Like Concha y Toro, Santa Rita can boast of 130 years of history. Since 1980 it has been owned by the Claro Group, an enormous company started by Ricardo Claro, with interest in numerous industrial and business sectors including shipping and television. The group also owns or part-owns Carmen, Doña Paula and Los Vascos wineries. 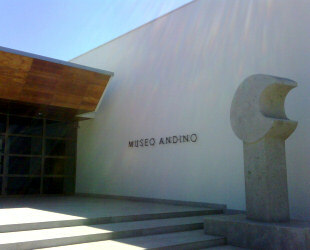 Ricardo Claro died suddenly in 2008, but only after establishing an extraordinary museum of Chilean and Latin American culture that opened in 2006 next door to the winery. The world-class exhibits of historical and pre-historical Chilean culture include pottery, weapons, tools, clothing, jewellery and equestrian items, and the museum is in itself now a major attraction. 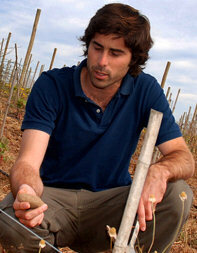 Santa Rita’s winemaker is the quiet but focused Andrés Ilabaca (left). Like so many winemaker, Andrés is a graduate of the Catholic University of Santiago’s agronomy and oenology course, and after 11 years working for Viña Canepa, has been with Santa Rita since 1996, sharing the title of Chief Winemaker with Cecilia Torres. Santa Rita’s ‘120’ range is in Majestic stores, and is named in honour of an event in 1814 when General Bernardo O’Higgins together with 120 men fighting to achieve Chile’s Independence from Spain, found refuge in the Santa Rita Hacienda. After losing a fierce battle in the city of Rancagua, the 120 patriots were hidden in the basement of the Santa Rita house until they could recover and continue on their quest for Chile’s independence. The Wine Society carries Santa Rita’s impressive top Cabernet Sauvignon, The Casa Real. Leyda. Much more grassy and crisp, but also flinty and smoky. That herbaceous punch comes through with lime and lemon fruit. Very crisp and grassy on the palate, with a big gooseberry punch of fruit, tropical overtones and lots of juicy citrus and minerality. 89/100. £9.99, Majestic. Central Valley. Stainless steel with some staves and chips, part malolactic. Quite buttery and ripe, with lots of vanilla and nectarine fruit. The palate has a sweet fruited character ( though technically dry at just 2.3g/l residual sugar). Creamy and crowd-pleasing, perhaps lacks a bit of mid-palate fruit intensity before the vanilla-touched finish comes through. 86/100. Limari. 100% barrel fermented, no malolactic. Eight months in new French oak, balance in older French barrels. Lovely barrel character, with honey and cashew, a touch of honeysuckle and lovely fruit too. There’s a touch of green bean and fig adding some punch. On the palate very nice wine, with a big, ripe, rich character (14.8% alcohol) . The acidity is good, a cool, pithy lemon and hint of something salty and mineral. 89/100. Leyda fruit, cropped low on a gravel and clay soil over fractured rock. Matured in 15% new French oak, the balance in older oak. Nicely gravelly, lightly roasted quality to this, with a touch of earthy beetroot and savoury red berry fruit. Has a nice edge of acidity on the palate, with lots of crisp, quite lean and juicy acidity. Tannins are fine, and the smoky warmth of the oak comes through, but this is perhaps just a touch angular. 86/100. Central Valley. Rich and chocolaty nose, lots of ripe, creamy black fruit. The palate has a touch of earthy, gravelly quality but the sweet fruit pushes through, with low-ish acidity and a nice roughening edge of tannin. 86/100. Central Valley. Quite a creamy black fruit quality here, with a touch of nice pepperiness but greenness too. The palate has lovely fruit with a certain silkiness to the texture. Nice balance in this wine, the tannins and spice supporting juicy, but rounded fruit. 86/100. Central Valley. A touch of chocolate and wood smoke here, with quite plush, glossy black fruit. The palate has a drying tannin quality and a certain dustiness to the fruit, but it is very expressively Syrah with ref berries, a touch of peppery spice and a hint of chocolaty richness. Balanced and spicy. 87/100. Central Valley. A nice touch of herbaceous character here, a touch of leather and baked plum too. The palate has lots of juicy blackcurrant, that cassis and cherry skin tart edge very nice, and a fairly soft finish with smoothed-out tannins and good acidity. Tasty and drinkable this. 87/100. Colchagua. 85% from Marchigue, 15% from Apalta. 10 months in French oak. Big, plush, inviting nose of blueberry and black plum, but there’s a delightful cedary, slightly peppery and herbal quality that is lovely. The palate has terrific fruit – velvety and lush, with a deep pool of black berries. The tannins are very supple and chocolaty, with lots of coffee and cream, the smooth spice of the oak adding to the opulent impression. A really delightful and very crowd-pleasing style, but done with panache. 91/100. Limari. 14 months in new French oak. A hit of eucalyptus and mint chocolate here, and lots of ripe blackcurrant fruit. There’s a little whiff of pepper and smoke too. The palate has a leaner quality than the Carmenère, with a juicy stripe of lean, cherry-skin giving some tension. Very nice style here again, and delicious balance. 89/100. Maipo. 5% Cabernet Franc from the home vineyard. Around one third of the oak is new. Coffee bean and leafy, brackeny qualities here, with a touch of savoury olive over the dusty blue/black fruit. The palate has Cabernet leanness and grip, with good fruit but all quite tight and structured. Very fine and food-friendly. 89/100. Maipo. Tiny yields here (2.5 tons per hectare). 15 months in new barrels after ferment in large wooden vats. Quite subdued, but deep and tightly-wound aromas, with black fruit and some coffee and smoky cedar. The palate has a great core of sweet fruit: it is silky and svelte, the tannins fairly massive, but they too are ripe and have a chocolaty density. There’s a great sense of polish and confidence about this wine, the gravelly, orangy edges of the tannins and acidity balancing beautifully. 93/100. £29.99, Wine Society. 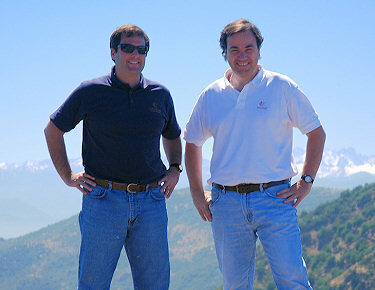 Viña Ventisquero is one of the 10 biggest wineries in Chile, “But the only one to use only its own grapes,” adds Chief Oenologist Felipe Tosso (right). Another privately-owned company, Felipe says the owner’s other business interest are extensive, and the wine business is “only around 2% of turnover, so he can treat it as a hobby in terms of sales volumes – as long as we work hard.” Having entered the UK market only in 2002, this is a little more than a hobby, as Ventisquero and its ‘Yali’ brand are now in the top five of all Chilean brands in the UK based on sales. Felipe is also doing a lot of work with canopy management to reduce photosynthesis, whilst harvesting just a little earlier, in an effort to reduce alcohol in the final wine. Now their wines are naturally around 13.5%. They are also training vines to get their roots down further through irrigation controls: “Once below two metres they manage to find a balance that means they achieve riper tannins and phenolic ripeness at lower sugar levels.” Aurelio Montes is consultant winemaker here, but John Duval, legendary ex-winemaker at Penfolds, has consulted on the ‘icon’ wines since 2003. 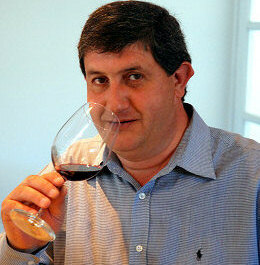 Indeed he is a business partner in the premium Vertice and Pangea bottlings, sharing profits with Ventisquero. Eighteen months in barrel. From the block I visited in Maipo with the inspection pit. Beautifully pitched, sweet violet nose, with a dusty fruitiness and an elegant appeal. There are soft, aromatic herb notes – but not green, much softer and more earthy. The palate has a beautiful sweet fruitiness, with tight, refined tannins and lovely acid structure, the wine persisting beautifully, with lovely balance. 91/100. £11.99, Roberson, etc. Also from the same vineyard, but a patch that is more colluvial over granite. Lovely nose, the pure cassis with a touch of mint chocolate, and a big deep pool of ripe fruit. The palate has spice and warmth, with delicious, sweet, smooth tannins and a fine edge of cherry skin acidity. Terrific, deliciously drinkable wine. 91/100. £11.99, Roberson, etc. From Apalta, the vineyard planted on high slopes on the hillsides on red clay. The name comes from the highest part of the mountain. A blend of Carmenère and Syrah. Sophisticated, smoky nose, some herbal qualities and a certain dustiness. The fruit is quite bold and red-fruited with a plumy over-ripeness. There’s a ripe, plummy fruitiness on the palate too, with a nice tangy edge and some cedar. Fresh, with a liquoricy grip, and a suggestion that this will age. 92/100 £19.00. Established in 1976, LFE is very much a family company, with family members occupying all key positions. 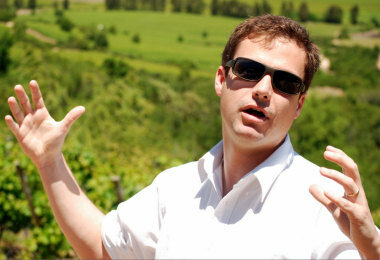 Nicolas Bizzarri (right of picture) is commercial director and a winemaker. He studied in Australia, before going on to make wines for Mondavi in Napa. 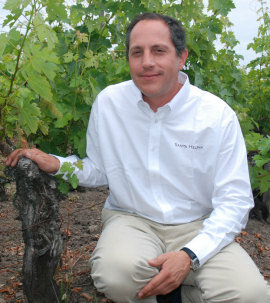 Married to one of the daughters of founder Luis Felipe Edwards Snr, Nicolas joined the company in 2002. Together with agronomist Eugenio Cox (left of picture) we jumped into a 4×4 for a white knuckle ride to the very top of their extraordinary high vineyards. Nicolas explained that LFE were the first in the valley to plant on the higher, tree and bush covered terraces. Central Valley . Nicely ripe and fruity nose, pleasant touch of capsicum and of elderflower and gooseberry freshness. Seem quite sweet on the palate, and just peters out slightly the fruit being overtaken by a slightly watery finish and some acidity. 84/100. The Reserva wines are around £4.99 – £5.99. This one is available in Asda. Leyda Valley fruit. Punchy, vibrant grassy and green pepper aromas, with lots of gooseberry punch. Palate has lovely weight and a certain green bean oiliness and texture, with good acidity and delivering a punchy style. 87/100. The Family Selection wines are around £7.99. Casablanca fruit with 10% from Leyda, and 50% of blend oak aged. Really nice green fruit here, with figs and a waxy lime intensity, and a nicely smoky oak background. The fruit is intense too, with lovely sweetness and texture, and a really nice finish that has just enough acidity. 88/100. The Merlot. Quite a fine black edge to the fruit here, a touch of charcoal and a little hint of raspberry brightness. ON the palate more of that black fruit, which is savoury and dry, with some drying tannins and good balancing acidity. 85-86/100. Again a charcoally, schisty note to this, with tight black fruit and a touch of cedar, and some savoury black olive. The palate has a cool fruitiness, quite a lean character though, with a sinewy quality and tight, dry tannins and acidity. A nice, simple, fresh food wine this, if lacking a touch of fat. 86/100. 85% Colchagua fruit, 15% Casablanca from contract growers. 40% oak aged. Nice schisty black edge to this, with a touch of graphite and cedar, and a tight, sinewy style. The palate has some real sweetness and roundness, with very good weight, a dry, savoury style that has some chewy density, and a balanced finish with some spice and tart cherry skin acidity. 88/100. A touch of something earthy and gamy here, with blackcurrant and a slightly ashy, dry quality. The oak is nice on this, adding some tobacco and spice, and the finish has lovely grip. 87/100. Much riper, richer, more powerful and ripe than the Reserva range. Has a creaminess and a little floral lift. The palate has a silkiness and a smooth, clear, black fruit that floods the palate. Very rip, grippy, nice floral touches persisting and lovely spicy, long finish. 89/100. Spicy, tight, sinewy black fruit quality. The palate has a slightly less powerful character than some her, with nice freshness again and balance. 86/100. 50% CS, 20% Shiraz, 15% Petit Verdot, 15% Carmenère. 18 months in oak. Big, sweet, enveloping nose, with masses of chocolate and ripe, thick., sweet blackcurrant fruit. Lots of finesse. The palate too has that super sweet, layered texture of black fruit, spice and creaminess, in a big, powerful, but ultimately very well balanced wine. 91/100. £20. Lapostolle (‘Casa’ has officially been dropped from the title) declares as its motto: “French in Essence; Chilean by Birth,” and indeed Lapostolle’s owner is the French Marnier Lapostolle group, producer of Grand Marnier and owner of Château de Sancerre in the Loire Valley. 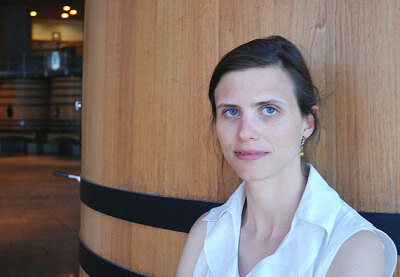 Head of the company is Alexandra Marnier Lapostolle, who although Swiss-based is hands-on and regularly at the winery. The French connection extends to the winemaking: although young Chilean winemaker Andrea León (right) is in charge of the premium wines, Michel Rolland is consultant winemaker (retained exclusively by Lapostolle in Chile) and Jacques Begarie of Bordeaux is chief viticulturist. I met Andrea at their beautiful new winery, which lies at the heart of Lapostolle’s Apalta estate. The 30ha of old vines that make up the famous Clos Apalta are un-irrigated, and this is the second year the estate has been farmed biodynamically. “It’s possible to farm such a large vineyard Biodynamically in Chile,” says Andrea. 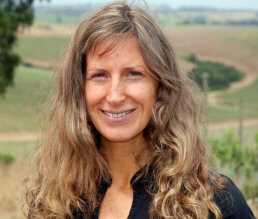 “We have always planted at high density, used horses in the vineyard, used minimal synthetics – it was not an unnatural step for us.” Andrea sees a strong and pragmatically-led movement towards organic farming developing in Chile: “We have much better machinery available to us in Chile now, and many more people are using composts because synthetics got so expensive.” The winery is six levels deep, sunk into the hillside, and operating by gravity. The first vintage here was 2005, in a facility dedicated to Clos Apalta and now a second wine called Borobo. All grapes are hand de-stemmed by teams of 60 women, “destemming grapes one by one for Clos Apalta,” says Andrea. A painstaking process, but one she thinks is worth it: “The fruit seems more defined. The expression of the fruit seems to clearer, especially with Merlot. The tannins seem a little more polished too.” Everything at the winery is basket pressed. “The press is very good, and lets us separate the different parts of the pressing very well – it also gets some air through the wine, which is good,” says Andrea. The barrel cellar, immediately below the circular tank room, is a beautiful space, filled with 100% new oak barrels for every vintage. Barrel-aged Semillon from the 80-year-old vines, aged for three to six months in older French oak. Mealy, fruity, lightly toasty nose, with some sweet vanilla and a little herbal touch. Quite bold and powerful. 87/100. 30% of blend in older oak for nine months or so. Casablanca fruit. Nutty and vegetal aromas, quite Burgundian. A touch of banana and tropical fruit. The palate has lots of fat, lemony acidity and that sweet, mouth-filling fruit. Nice and sharp in the finish. 87/100. With 8% Syrah, 5% Carmenère, 2% Cabernet Franc. A bit more oak on this. Quite creamy, with more powerful, structured black fruit and gravelly quality. 88/100. With 15% Merlot. New wine, not yet on the market. 75% of the blend spent 10 months in oak. Quite meaty, with a touch of herbal, dry, almost dusty quality. Something coffeeish too, with a big, sour cherry bite of acidity on the palate and plenty of juicy, black and red fruit. A really nice Carmenère this, with lots of substance and fine, grippy tannic balance. 90/100. Poured from magnum. Probably had much more oak, and more new oak than the 2007 cuvee. Lovely creamy, bold black fruit, with a certain density and sense of plush sweetness. The palate has maybe just lost a little bit of the mid-palate fruit depth and plushness it once had, but spicy and chocolaty tannins are fine and ripe, and this has terrific length still with the fruit lasting through. 91/100. With 15% Carmenère. Savoury, chestnutty, quite spicy too, and the plushness of thick black fruit comes through. There’s a touch of briar and sweet damp earth. Delicious palate, with a savoury edge to the black fruit on the palate. Plenty of grippy tannin here, quite a sinewy, muscular character. Plenty of power and concentration. 90/100. £11.99 to £12.99. 61% Carmenère, 24% Cabernet, 12% Merlot, 3% Petit Verdot. 24 months in oak. Lots of tight, creamy, pure blackcurrant fruit. There is some meatiness here, with a muscularity to the wine, but the fruit has a silky depth. On the palate plenty of ripe, sweet, quite juicy and deep blackcurrant. The palate weight is good, and the balance here of tannins and excellent acidity. This is a wine with really good length and structure. It seems much less full-on than some earlier vintages, and that is a good thing. 94/100. £50 or so. 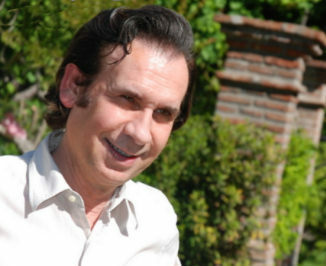 Aurelio Montes scrambled, almost on hands and knees, up the 45º slopes of his latest vineyard. I had little choice but to follow. The story here is by now familiar in the ‘new Chile’: the estate’s oldest vines were all planted on the valley floor in 1994, at a density of 4,000 plants per hectare. Today, they plant on the hillsides at a density of over 7,000 plants per hectare. 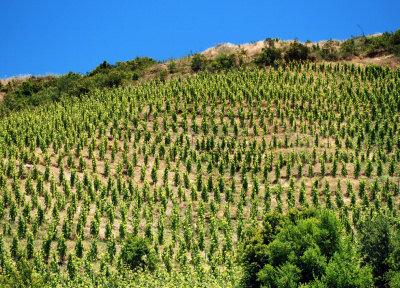 Syrah has proved extremely successful up here, and has led to quite extensive new plantings of other Rhône varieties Mourvèdre, Grenache and Carignan. I mention to Aurelio that the few Carignans I’d tasted on the trip were universally impressive. “It has a big future – I am very excited about it,” he told me. In terms of their agriculture, Aurelio says “The best way to understand how Montes works is to come to the vineyards and look around – look at the wild flowers amongst the vineyard, the trees and the natural conditions. We practice sustainable agriculture, with minimum sprays and contacts with the vines.” Aurelio studied at the Catholic University in Santiago as did his father before him. He lived for one year in Australia, working for Cape Mentelle, Rosemount, and then worked in Napa for Franciscan wineries. Today, he seems both contented and ambitious as he shows me around the winery, built to strict Feng Shui principles including its location, orientation and construction materials. Grapes arrive and a lift takes them to the roof which is the reception centre. Currently, vibrating sorting tables allow fruit selection, but from next year a new system borrowed from the recycling industry will sort automatically using cameras and compressed air jets to remove poor quality fruit or extraneous materials. From Colchagua, all the rest of this range aged in oak. Spicy, cedary, very good fruit and lots of complex, quite Bordeaux-like savour. Palate is juicy and has a lovely edge to the ripe, red berry fruit. Very silky tannin structure and fresh. 90/100. Colchagua. Nice ripe, bright red fruit nose, with a hint of some chocolate and some fragrant spice. The palate has that edge of raspberry and liquoricy character, with a little savoury black olive character and fresh finish. The spice and nice chocolaty quality develops nicely. 90/100. £10.99, Waitrose. Colchagua. A bit of herbal, slightly green character and menthol, but nicely pitched within the framework of tight black fruit and peppery spice. The palate has a red fruited edge to it to, with a silkiness to the body and a dry, almost bittersweet chicory note in the finish. Spicy and long. 90/100. £10.99. Santa Cruz/Alpha. Bordeaux blend, 80% CS, 10%CF, 5% Merlot and 5% Petit Verdot. Eighteen months in new French oak. Lovely big, creamy black fruit nose, with a voluptuous richness. Lovely oak, very fragrant and incense-like. Big, spicy, blood-tinged black fruit palate with lots of orangy acidity. Terrific, creamy finish. 92/100. £35-£40, top Waitrose and independents. 92% Carmenère, 8% Petit Verdot from Apalta and Marchigue. Quite toasty and charry at first, with a cedar and pencil-shaving finesse. No green here, just a sage-like herbal note. The palate has lots of fruit sweetness. It is a little less dense than the M or Folly, but it has a lovely refined black fruit and a fine black cherry fruity edge. Fresh and lovely to drink. 92/100. £25, Harrods and independents. Another part of the large San Pedro/Terrapaca group, Santa Helena is in its own right the 11th biggest exporting wine company in Chile. Founded in 1942, over one million cases were exported last year. Brazil and Finland are their biggest export markets, but the UK is growing, with 84,000 cases sold last year, up from 67,000 in the previous year. Santa Helena has over 500 hectares planted in the Colchagua Valley, with lots of wonderful old-vine material like these dry-farmed Cabernet Sauvignon vines planted in front of their winery. I met up with winemaker Matías Rivera who conducted a tour of the vineyards and a tasting through the Santa Helena range. Matías was particularly keen to introduce a fascinating new project called ‘Alta Helena’ which showcases Chile’s Valleys through sets of premium wines. The new project will focus on sustainability, with reduced weight bottles, carbon footprint monitoring, organic wines and running an energy efficient winery. But it is the nature of the Alta Helena wines and the way they are being offered for sale that will interest most wine lovers. The first offering is a four-pack of wines being sold for around £50 – £55, each a Cabernet Sauvignon from one of the four most important Chilean valleys specialising in this variety: Aconcagua, Alto Maipo, Colchagua and Curicó. Each bottle has a tag explaining the project, and a presentation box contains maps and other information about the wines and the project. Colchagua – spiciness, finesse and persistence. 48% planted to CS. There are 6,000 boxes for this inaugural vintage. Curico fruit. Not hugely expressive on the nose. With a bit of fat, lemony fruit and touch of apple skin. The palate is crisper and more bracing than the varietal, with more of that lemony bite and a touch of salty minerality. 87/100. £6.99. Central Valley. Bold, cherry and currant black fruit, the fruit expressive and bold. The palate has lovely fruit sweetness, the nicely dark, slightly inky touch to the tannins adding a fine, savoury character and the fruit and acidity fine in the balance. 86/100. Colchagua. Some creamier and herbal notes here, with some cedary touches. The palate has similar bold, crunchy, sweet black fruit to the Reserva, that extra layer of vanilla rounding it out and even a suggestion of gaminess to the fruit. Nice balance here. 87/100. Colchagua. Quite dusty and earthy nose, with solid black fruit, if slightly subdued. Nice on the palate, with a certain plushness and juiciness to the fruit, fills the mouth with blackcurrant and plum, and the tannins are very fine. Sweet and refined, with a touch of Malbec lift. 88/100. Not in the UK Market, but would be around £9.99. Colchagua. Some of the fruit comes from the oldest vineyard which includes 100-year-old vines. Very sweet, tight, ripe black fruit on the nose. Plenty of spice too, and a touch of briar and black olive savour. Big, plush and toasty palate, with lots of rich, plum and blackcurrant. Nice structure here, with dry but elegant tannins. 89/100. Elegant, softly-fruited nose, with creamy black fruit and a fine, delicate spiciness. The wine is creamy and fruity on the palate too, with excellent fruit sweetness and a cassis intensity. The finish has a nicely grippy, but sweet and ripe tannin quality, the wine finishing with spice and a plum-skin bite. 90/100. There’s a touch of gamy, spicy character to this, with elegant black fruits and a certain blue/black dustiness. On the palate it is creamy and quite cedary, the crunchy fruit intensity coming through with a creamy texture and perhaps a slightly leaner finish than the Aconcagua wine. 89/100. Less expressive than the other two wines, with a fine, crisp, tight structure and a more subdued but intense, tightly-wound nose. The palate has a crisper, more red fruited quality. It seems to lack a little flesh on the mid-palate, but a spicy, warming, cedary and lithe finish. 89/100. Quite gamy and earthy, with cedary, focused black fruit. Spicy, but again quite tight and has even a touch of herbal aromatics. The palate follows through with that spice and herb-edged character. Very nice fruit and balance, and a great sense of freshness here. 90/100. The Silva family has its origins in France, from a Bordeaux winemaking background. Established in the 1920s, the company produced bulk wines for almost 70 years, but today their beautiful estate in Angostura, Colchagua is just one of several that supply fruit for their range of wines. The company is adventurous too, with their Lake Ranco project the most southerly vineyard area in Chile, 350 kilometres south of Bío Bío, in the Chilean lake district. Though not yet in commercial production, this cool, windy area has been planted with 70 hectares, mostly of Sauvignon Blanc. “We decided to plant here because the micro climate supports farming of kiwi fruits,” explained Mario Pablo Silva (right), managing director of family-owned company. “So we thought it might make excellent cool climate whites too.” Casa Silva has also bought a farm of 80ha on coastal Colchagua, just seven kilometres from the ocean. We travelled out to a small patch of their Los Lingues vineyard, where an intriguing a project has just been established in conjunction with several universities in Chile and in Germany, to create the first clones of Carmenère (currently all Carmenère is a massal selection – vines belong to the same family but are not identical clones. In theory this creates a less homogenous vineyard and less control over matching vine to soil). The project will try to identify the differences between plants in a test vineyard, and establish the best vines to begin a clonal selection system. “It’s the Carmenère version of the Human Genome project,” jokes Pablo. 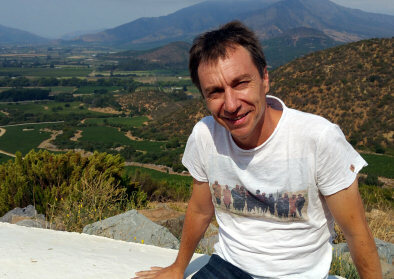 He continues on a more serious note: “We really believe that Carmenère is going to be a great wine in Chile – the best scores for Chile’s ‘icon wines’ are already given to wines that are mostly Carmenère.” This new clonal programme has grown out of an established ‘micro-terroir’ project, in which Casa Silva vinifies and bottles different small plots of Carmenère. No visit to the Casa Silva winery is complete without the family’s other passion: horses. If wine is the Silva’s business, then horses are their lifeblood. Over 150 horses are stabled within the estate for show-jumping, rodeo and polo. There’s an equestrian school, polo club, and most intriguing of all for the visitor, a thriving professional rodeo arena. 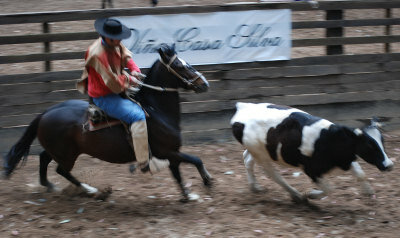 Pictured is Pablo’s brother and regular rodeo competitor, Gonzalo Silva. Lovely punchy nose, the greengage and gooseberry pungency punching through, nice sense of something nettly and mineral. The palate has lovely texture and fruit, with lots of citrus and an orange fruitiness. Very clean and crisp, lovely style. 88/100. £10.95 James Nicolson. A tiny vanilla note, with a herby, dry character and lemon fruit. Juicy on the palate, but very restrained, almost salty mineral hints. 87/100. Smoky, gunflint notes, lots of herbal, even buttery, oatmeal note. Very nice bright and punchy fruit, with a fat lemony tang and very crisp, herbaceous notes, that salty note again making it savoury and delicious. 90/100. Rounded peachy tone to otherwise bright, focused lemon and apple fruit, a touch of nettle and herbs. The palate has lovely fruit too: the peach just adding a touch of ripeness and sweetness, but the finish showing that clean, tangy minerality. 86/100. £6.99, Waitrose. A portion spends four months in oak. Buttery and oatmeal character with great creaminess and ripeness to the fruit. The palate has real fruit sweetness, with lots of juicy cantaloupe melon and lime and lemon acidity. The finish is fresh and bright. 88/100. From coastal estate in Colchagua called ‘Paradones’. Big, apricotty, peachy nose, with lots of Viognier floral character and clarity. Lovely palate, very crisp and cool, through the preachy ripeness comes through before a crisp, focused acidity in the finish. Very nice style this. 89/100. Delicate herbal and floral aromas. Light, delicate, seed cake notes. On the palate beautifully creamy and sweet, the finish crisp though – this is light and elegant. With delicious orangy tang and a touch of herbal character. 100g/l sugar. Delightful stuff. 88/100. £6.95, per half bottle. 50 percent each from Los Lingues and Lolol. One third of the wine has French oak for six months. Lots of pepper and spice here too, with a certain earthiness and very fine black fruit. Very fine fruit here, with a softness of strawberry pulp and sweet oak beneath silky, ripe Carmenère fruit. 90/100. A little leafy lift to this, with very nice cedar and red fruit character. The palate has a certain silky smoothness, with fine tannins and that earthiness coming through, but a lovely weight and texture, and a sweetness in the finish. 89/100. Ripe, dusty black fruit and blueberry. Seems very supple and dense. The palate has lovely weight and mid-palate intensity, the sweet fruit and fine tannins balanced by plenty of crunchy black fruit acidity. 90/100. Nicely smoky and earthy, the hint of herbal character and cedar set against firm, juicy black fruit. Lovely firmness and fruit on the palate with smooth, silky tannins and lovely purity and balance. 90/100. 45% Carmernere, 27 Syrah, 23 CS, 5% Petit Verdot. Lovely smoky and earthy nose, lots of wild garrigue notes and a certain creaminess. Lovely Bordeaux-like balance, with black fruit, a touch of olive and a fine spiciness. Lovely style. 91/100. Central Valley. Clean, ripe, fruit, with passionfruit and lemon. Nice, tight apple fruit, not a flamboyant wine, but has nice balance and freshness and a tangy finish. 86/100. £5.99. Leyda fruit. More cool-climate, passion fruit character, a bit more punch and ripeness. But still that apple, melon and citrus fruit and tempered quality. 87/100. £6.99. Casablanca fruit. 20% barrel ferment and only one month in oak, with no malolactic. Nice nose, just creamy and gently almondy, with a dry., lemony fruit quality. The palate is cool and apply, perhaps lacking a little mid-palate intensity, but the pithy, orange and lemon quality of the finish is flavoursome and has some tang and juiciness. 87/100. £6.99. Casablanca Valley. 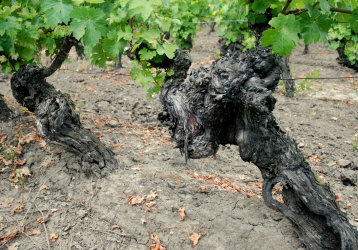 Old vines from a grower they have worked with for many years. Quite an asparagus and mineral nose, with a definite minerality and touch of smokiness. The palate has lots of juicy life, with a touch of tropical fruit and plenty of zesty, lemon peel tang. Nice balance and length. 88/100. £8.99. Rapel Valley. 20% barrel ferment, but back to stainless steel after one month. Lovely nose, which Gonzalo says is achieved with a lot of work on the canopy and generally keeping on top of the vineyard to make sure no bitter phenolics develop. Ripe, rich, dried apricot nose with a touch of fleshy yellow plum and a little spice. Lovely fruit sweetness. 88/100. £8.99. Rapel. Nicely dense and dusty black fruited nose, with plenty of sweet, plumy fruit and a touch of liquorice. The palate has good fruit and that dry, plum skin and dusty cherry fruit, very nice tannins and a warming hint of pepper and spice in the finish. 87/100. Rapel. Unoaked, looking for a fruity expression. Deep, quite leathery quality, with some black fruit coming through nicely. The palate has a rich blackcurrant core, the fruit quite incisive and sweet, the tannins quite gentle and ripe and a nicely balanced, long finish. 87/100. 15% Syrah. Rapel, tank sample. Quite dark, plummy fruit, a touch of cedar, in a very pleasing profile. Silky, rich fruit in the mouth, with very nice mid-palate weight. 88/100. Rapel. Tank sample. 15% Syrah. Quite subtle, but tight wound and muscular black fruit. Cedar and a little fragrant, exotic spice. Quite a tight, leathery character with savoury black olive notes and sinewy tannins. Quite grippy and dry, but has a food-friendly, savoury character. 87/100. Rapel (a Leyda wine to come on stream). Quite a peppery and spicy Pinot, with an earthiness and a soft fruitiness like strawberries and ripe raspberries. The palate has a creaminess to the texture, and a cool berry fruit character that stays poised and creamy, with a nice brightness to the acidity and a grippy, freshening tannin structure. 88/100. Rapel. Very dusty, ground black pepper character. Plum skins and a touch of earthiness and just a hint of something more juicy. The palate has that real juiciness too, with plenty of tangy, glossy black fruit and lots of acidity here – fresh and mouth-watering, with fine tannins but doing a nice job of roughening up the finish. 89/100. Casablanca Pinot from granitic soil, with little touches of Viognier, Merlot and Syrah. Big, aromatic, coffee and mocha nose, with a deep earthiness and some vanilla, but also a little hint of more sweet strawberry fruit. Lots of coffee and spice on the palate too, with good fruit and a luscious weight and texture. Very nice. 89/100. Rapel. Three percent of Viognier blended in. Bold, striking, blue/black fruit, with lots of purity and focus. A hint of currant, overripe fruit. The palate has great fruit too, with delicious juiciness, lots of sweet mid-palate fruit and texture, and a fine-grained tannin. The acidity is good in a long, delicious and focused Syrah. 90/100. 50% Cabernet Sauvignon, 30% Carmenère, 20% Syrah. There’s a certain dustiness on the noise of this again, probably from the Carmenère component. I like the focused black fruit of the mid-palate, with a cedar quality and an earthiness, and a big, dry, powerful tannin backbone. This is savoury and food friendly, and although there is good fruit, it is that big, dry tannin backbone and acidity that drives this at the moment. Delicious but needs some time – the fruit is terrific, but tannins need to soften. 91/100. There was no time on this trip to visit Curicó, the northern half of the Rapel Valley, but whilst in Santiago Torres invited me for a very good dinner at their wine bar in the city, where some tasty tapas was preceded by a tasting with Leonardo Devoto, one of the winemaking team. Leonardo is Chilean, but also studied at UC Davis in California and worked vintages at Geyser Peak and at d’Arenberg in Australia. From central valley fruit. Gentle passionfruit aromas, with a touch of downy peach skin. Slightly thin, slightly phenolic finish. Pleasantly refreshing. 85/100. Softly earthy aromas with strawberry-scented fruit. Quite big and creamy on the palate, with a richness to the fruit and 9g/l of sugar just adding some sweetness and fullness. 86/100. Nice, rich, thick black fruit. A touch of peppery spice and the palate shows thick, ripe, rich fruit with a red fruit lightness and again that peppery, slightly herbal finish. 87/100. Aged in older barrels. Quite a tight, ripe but crisp black fruit character. The palate is ripe and doesn’t show any green notes, and the cherry and black fruit stays quite focused. Nice sweet fruit finish. 86/100. 54/22/24 split. Nine months in French oak, with 30% new. Quite a ripe, plush, fairly high-toned fruit, with lifted herb and kirsch-like cherry fruit. The fruit has good plushness and palate weight. Big, dusty tannins and lots of juicy acidity and fine tannins. A terrific grip and bite to this. 91/100. 15% Viognier skins added to the ferment. Nine months in French oak, 30% new. Quite a lot of herby, tobacco notes here, something chocolaty too and a dusty blue/black fruit. The palate has a chewy, quite rustic feel to the tannins, but it makes it dense and savoury. 88/100. 50/35/15. Slightly smoky, slightly burnt note to this, quite leathery, with herbal notes. The palate has a juicy, savoury character, with a dry, slightly vegetal finish that is food friendly and savoury. 87/100. 100% Cabernet Sauvignon aged 18 months in Nevers oak, 50% new. 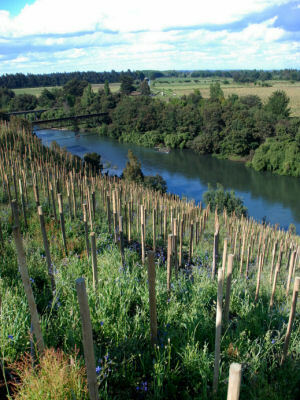 From an old trellised vineyard, with rows planted three metres apart and vines 1.5 metres apart. Masses of chocolate and spice, with some herbal notes, but an underlying blackcurrant richness. Palate is thick and sweet and has great palate weight and ripeness and a thick, ripe tannins structure. A massive wine, but impressive. 91/100. 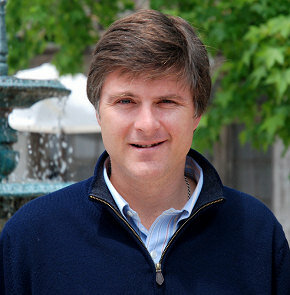 VC Family Estates is the winemaking arm of the Córpora Group, which also owns the Explora hotel group – one of the most upmarket groups operating in Chile and Argentina. Its wine portfolio includes brands like Gracia de Chile, Agustinos, Porta and Veranda – a recent distribution deal with Bibendum Wines in the UK will make these names much more familiar to UK wine lovers. Viticulturist Carlos Carrasco (right, by the Bío Bío River) showed me around their large estate, emphasising the diversity of soils from sand, to silt, to stony soils, to volcanic stones in clay. “The stony clay soils are capable of much better quality than the silty and sandy soils,” he tells me. “This allows the vine to build a big volume of roots to let it better withstand stress.” All vineyards are sited close to the river and its tributaries, to help mitigate frost damage in Spring and reduce the temperature a little in mid-summer. “Temperature here during bud break, flowering and harvest is moderate, with temperatures similar to Casablanca,” Carlos tells me. “But rainfall is much greater at around 1100 mm annually. “There is much more organic matter in the soils too because of the wetter conditions, with more than 5% carbon, whereas north is nearer to 2%.” There is natural grass cover throughout the year, and 30ha is being farmed organically and will be certified in 2011. 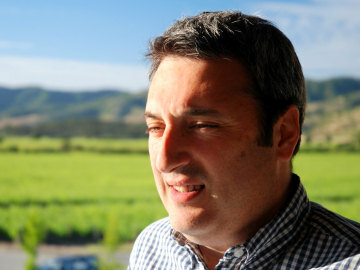 Carlos came here in 2003 and faced a legacy of vineyards that had been planted 10 years earlier, before the valley’s true potential was recognised. Those plantings were done by agricultural consultants “People in charge of pears and apples,” says Carlos. 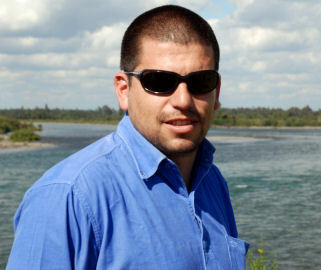 Carlos was one of the first graduate cohort of the viticultural course at Santiago university in 2000. “Since then there has been an explosion of knowledge and expertise in Chile’s vineyards – everyone now knows we need to understand our soils and be honest when they are just not good enough.” He is now planting and replanting at 10,000 plants per hectare, up from 4,000 in the original plantings. Left: the ‘little Mosel’ vineyard. The winemaking team here has a particularly Burgundian accent. Consultant is Pascal Marchand, ex winemaker at Domaine de la Vougeraie, and in day to day charge is Louis Vallet, son of Bernard Vallet of the eponymous Burgundy domaine. It is little wonder perhaps that Pinot Noir seems to be something of an obsession, including new clones being developed in a joint venture between VC Family Estates, the University of Concepción and UC Davis in California. Bío Bío Quinel Estate. 20% fermented in stainless steel barrels with a lot of lees stirring. Experimented with oak barrels, but even with older barrels it marked the wine too much. Big, unctuous nose, with lots of punchy tropical fruit and a herbaceous, powerful edge. Big, palate filling mouthful of exotic lychee and mango fruit, a little of that herbal character and lovely acidity. Very nicely done. 89/100. £10.99. Santa Carla estate, Millerandage Vineyard. 6 tonnes per hectare. A selection of the bunches and grapes that are smaller, normally because they have got cooler conditions in Spring. The berries are more concentrated. They are separated at harvest time. All the vineyard and winery processes follow the biodynamic moon calendar. The wine is 100% whole-bunch. Fabulously deep, plumy, chocolate and briar nose, with a fine earthiness and a delicately herbal note of sage and smoky thyme. The fruit on the palate is very pretty – it has substance and weight, with a plumy character, but the lithe, fine tannins and the elegant acidity are delightfully poised, with a touch of orange in the finish and some spice. 92/100. Around £50.00, Harrods. Colchagua, Apalta Valley. Minty, chocolaty ripeness. A touch of herbal quality, with earthiness too and plenty of creamy black fruit and vanilla. On the palate this has deliciously slick, svelte, velvety black fruit with a tang of blueberry and plum skin acidity. Nice spice and toast and a plush, thick palate. 91/100. £24.99. Bío Bío, Santa Ana Estate. A touch of herbaceous character on the nose, with a farmyard undertone and the black fruit of the Malbec just coming though. The more floral character just peaking though in this wine. The palate has good freshness and balance, with some liquorice but a slightly under-fruited mid-palate, the oak and spice dominating the finish. 86/100. £14.99. Aconcagua, Colunquen Estate. Certified organic vineyard. Very minty nose, with lots of mint leaf and High, floral notes. The palate has a cherry and red fruit, more herbs and a dried herb and pot-pourri character. Quite an unusual style, the plumy depth of fruit and fine tannins coming through. £9.49. 87/100. Colchagua, Apalta Valley. A 70/30 blend. A touch herbal and ashy, with tight blackcurrant fruit and a little hint of cherry and herbs. A little less plush and rounded than the straight Carmenère, with a slightly lean character. The sweetness is good, and this does have a raciness and richness. Very drinkable. 88/100. £10.99.